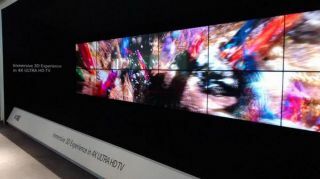 Best of IFA 2014 in pictures | What Hi-Fi? ... and 4K gaming done the right way by Panasonic? And what's this from Panasonic? The return of Technics! The Galaxy Note 4 promising to be a technological tour de force. Philips announced the UHD 880 Media Player, which will allow receipt and playback of HEVC encoded 4K content. Crystal Acoustics hopes its WiSound technology will become a new standard for room-filling sound. Want to send your vinyl around your Sonos system? Now you can with Flexson's VinyPlay deck. Sony also showed-off new headphones, a headphone amp and the NWZ-A15 high-res Walkman.